Angels Love and Light : How my loved one in Spirit made contact. How my loved one in Spirit made contact. I went to Mass in the cathedral of Christ the King in Mullingar on Easter Sunday morning. When I was young I used to go to Mass there with my mother's brother John. I was speaking to him at Mass asking if he's around, I rarely see messages from my maternal ancestors. When I got home I asked my mother for a needle and thread. I had a button falling out of my cardigan. 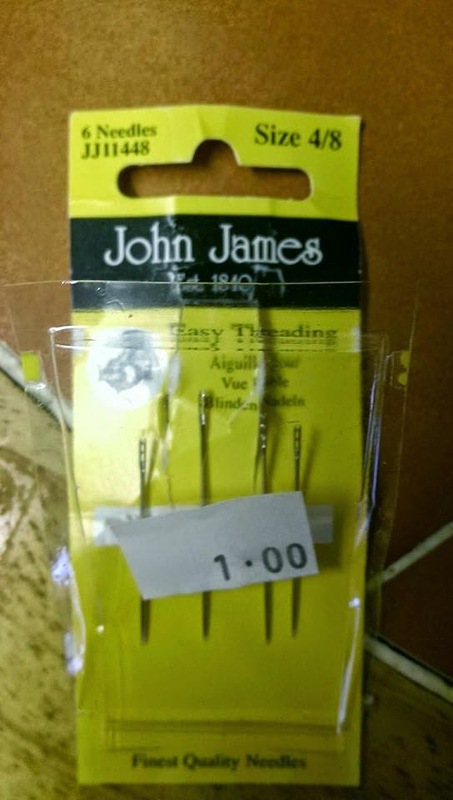 The photo shows the packet of needles. Wow. My uncle's birth cert name was James but everyone called him John. He couldn't be clearer than that, could he?